A team led by Bouygues Immoblier UrbanEra – the communities development arm of Bouygues Group – including international Architect Skidmore Owings and Merrill (SOM), Architects-Urbanists-Landscape Designers Ateliers 2/3/4/, AREP, and community ‘think tank’ Le Grand Reservoir; has been selected by the Ville de Charenton and Grand Paris Amenagement as the preferred development team for the Charenton-Bercy project on the eastern edge of Paris. 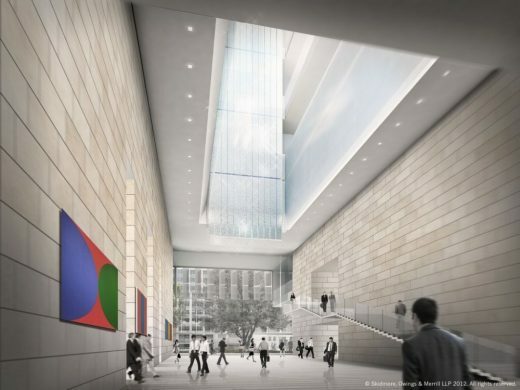 SOM Wins Colombo Master Plan International Design Competition. The 2.9 billion sqft development is due to be completed in 2041. 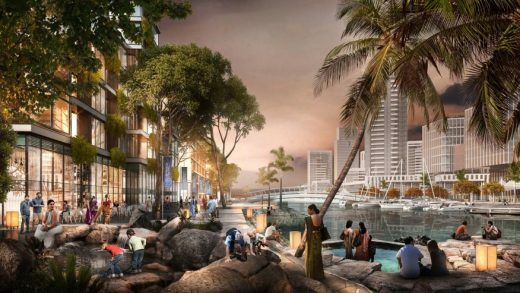 Skidmore, Owings & Merrill (SOM) has won the International Urban Design Ideas Competition for the Financial District and Marina District of the Port City Colombo in Sri Lanka. 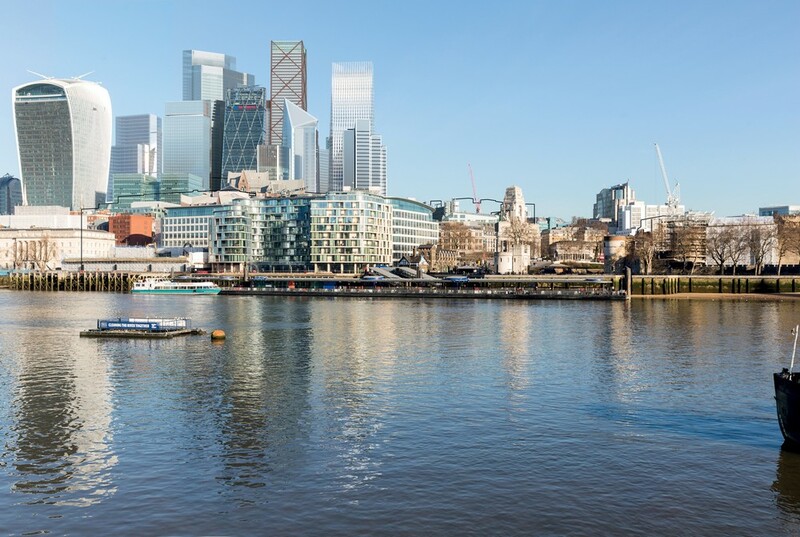 Developed along with UK-based landscape architects Grant Associates, the project will develop public spaces and an urban framework to accommodate future growth for the country’s capital, as well as form its new skyline. The master plan includes a new harbor, civic plaza, cultural venue, park, gardens, squares, and canal promenades. 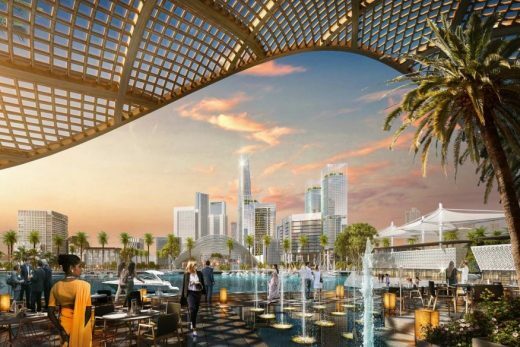 The competition, organized by real estate developer CHEC Port City Colombo, was held to extend the Colombo Central Business District and establish the city as a cultural center for commerce and tourism in South Asia. 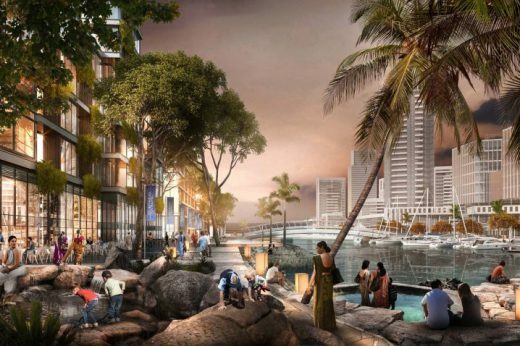 The jury unanimously selected SOM’s design as they felt the project exhibited a sincere consideration of the ecological and cultural environment of Sri Lanka. 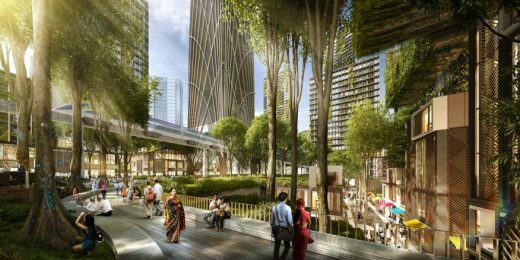 The Colombo Masterplan by SOM will cover 2.9 billion square feet, and is expected to be completed in 2041. Comprising 269 hectares, Port City Colombo is a new city development built as an extension of the existing Colombo Central Business District (CBD). The Financial District and Marina District make up the central area of Port City. When complete in 2041, the master plan will transform Port City Colombo into a hub for commerce, tourism, and culture in South Asia. A collaboration with CPCC, the Concept Master Plan by SOM, with consulting landscape architects Grant Associates, offers a richness of urban opportunities and a robust framework with carefully designed public spaces. It presents a dynamic new vision for Port City Colombo that promises to deliver high quality urban environments for residents and visitors. The plan is designed to accommodate future growth and change within a sustainable development framework. SOM’s vision, selected as the unanimous winner by an international jury, was cited as demonstrating exceptional sensitivity to the ecological and cultural context of Sri Lanka. In SOM’s proposed design, the new skyline for Port City Colombo is composed to create a striking and legible profile with a clear hierarchy when viewed from key points within the city. Sri Lanka’s varied landscape and its complex tropical climate have influenced the conception of the future district’s public realm. The squares, canal edges, gardens, a new harbor, and a new city park take cues from the local environment to create a sympathetic proposal that is rooted in the country’s unique geography and ecology. The plan refers to the country’s diverse eco-system by creating a “Green Heart” and a “Blue Heart” to structure these vibrant future urban districts. Inspired by hanging gardens, the central civic plaza features shaded promenades that encircle a new city marina at the waterfront. The locally resonant design approach is also apparent along the canal edge promenade, where inlets of varying character reference the lagoons of Sri Lanka’s rich and articulated coastline. 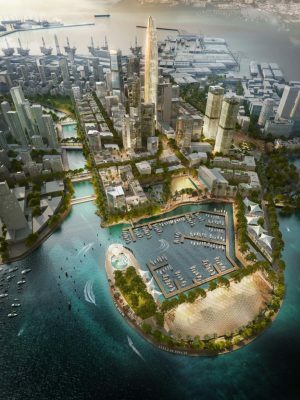 A new cultural venue placed at the seafront and immediately adjacent to the CBD of Port City Colombo will encourage people to gravitate toward the waterfront and create an iconic backdrop to the marina. CHEC Port City Colombo (Pvt) Ltd through China Harbour Engineering Company (CHEC) is part of China Communications Construction Company Limited (CCCC). Incorporated in 2006, CCCC is listed on the Hong Kong Stock Exchange and currently employs over 110,000 employees, with presence in 135 countries and regions. CCCC is the world leader in port design and construction, road and bridge design and construction, dredging, and container crane and heavy machinery manufacturing. In addition, CCCC is also vastly experienced in building construction and is a major real estate investor and developer. For the financial year ending December 2015, CCCC recorded a revenue of US$ 67.7 billion with total assets of US$ 140 billion. CCCC was ranked 110th among Fortune 500 companies in 2016 and ranked third on ENR’s Top International Contractors in 2016. Among the illustrious accomplishments, CCCC is proud that we designed five out of 10 of the world’s largest container terminals and cross-sea bridges. CCCC has been actively involved with the development of Sri Lanka since 1998, executing massive construction projects, such as the Southern Highway, Outer Circular Highway, Hambantota Port, Mattala International Airport, Colombo South Container Terminal and many other major infrastructure projects. 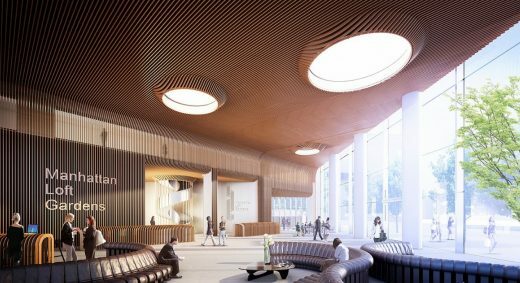 This new federal courthouse in downtown Los Angeles designed by SOM “conveys a strong civic presence rooted in classic principles, and features an innovative structural engineering concept that allows the cubic volume to “float” over a stone base while being one of the nation’s safest buildings”, according to the architects. London Mayor Sadiq Khan is being urged to halt the construction of a skyscraper because it mars a centuries-old view of St Paul’s Cathedral, reports The Guardian. Conservationists are calling on the London mayor to take action against a 42-storey tower in Stratford, east London, which they say damages the view of Sir Christopher Wren’s landmark from King Henry’s Mound in Richmond Park. 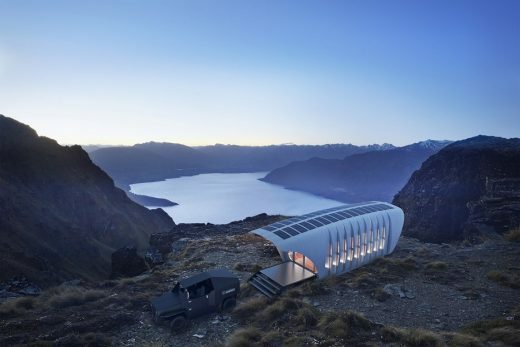 Architecture practice SOM has created a 3D-printed structure that generates its own power and shares energy with a companion vehicle, providing a model for off-grid living. The Center for Character and Leadership Development is a new building on the campus of the United States Air Force Academy. It is the first new building since 1981 to be erected on the the central square of the campus, which was designed by Skidmore, Owings And Merrill in 1954. A case study in efficiency, SOM’s design of the 343-meter (1,125-foot) tall Diagonal Tower successfully integrates massing, structure, and performance to minimize wind loads, reduce construction costs, provide dramatic views, and meet strict energy codes – all while maintaining an iconic skyline presence. 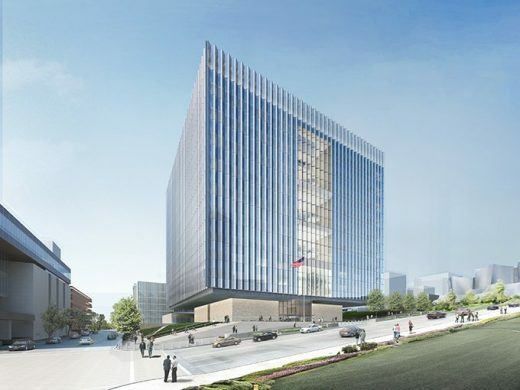 The Chicago office of Skidmore, Owings & Merrill LLP has won an international competition to design the Greenland Group Suzhou Center, in Wujiang, China. The 358-meter supertall tower will become the defining visual landmark for both the new Wujiang lakefront development and for the city as a whole. June 28, 2018 in Architects.